At AW Screw Precision Components, we are committed to producing top quality CNC Swiss parts, from prototyping to large volume runs. Attention to detail, from order to shipping, we make sure it's done right. If you can imagine it, we can make it, at a surprisingly affordable price. You have the concept; we have the technical expertise, experience, and technology to execute that vision, and bring your concept to life. Through our work with inventors and engineers, we have gained the experience to help you bring even rough drawings and notes, through blueprints and programming, to prototype. Ryan St James' knowledge of programming and design, and his practical engineering experience is invaluable. He can find efficiencies in optimizing part design for the CNC Swiss machines, cutting the number of moves necessary for manufacturing the part. With his mastery of programming, he can create prototypes that not only meet your specifications, but are also efficient to produce in even large production runs. With our real-world engineering and design experience, we can help you produce a prototype that embodies your concept, fulfills all specifications, and maximizes production efficiencies. 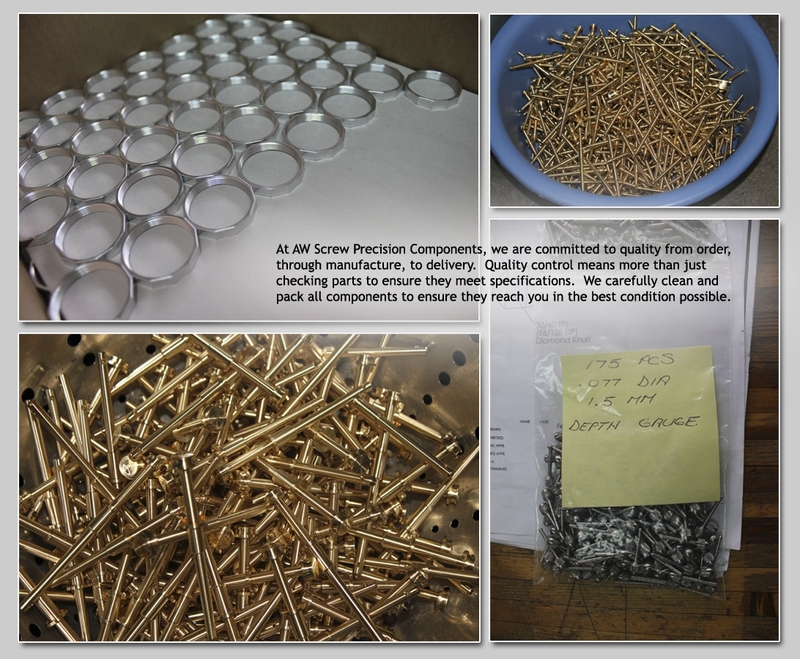 At AW Screw Precision Components, as we indulge our fascination with technology and our passion for making the perfect part, we turn out high quality CNC Swiss parts at a surprisingly competitive price. Full Service CNC Swiss Turning and Milling: Serving Vancouver, B.C., the Lower Mainland, and Western Canada.